Project start date: October 8, 2018. Project supervisors: Professor Deborah Greaves, Dr Martyn Hann and Dr Jon Miles. The Government of Jamaica (GOJ) is keen to develop their renewable energy capacity. In accordance with the GOJ National Renewable Energy Policy, one of the forms of renewable energy that will be used to increase the percentage of renewable energy in Jamaica’s energy mix is wind energy. Jamaica presently supplies 100 MW of energy to the grid from onshore wind farms and in late 2017 a feasibility study commenced with view to locate an offshore wind farm (OWF) there. Jamaica lies in a hurricane belt and occasionally experiences severe hurricanes. The most severe hurricanes can have sustained winds between 130 and 156mph. The last hurricane of this category was hurricane Dean which occurred in August 2007. The wind turbines that are currently being used to create OWF have larger capacities than the ones made previously. Nowadays, the largest wind turbines have capacities between 8MW and 12MW. 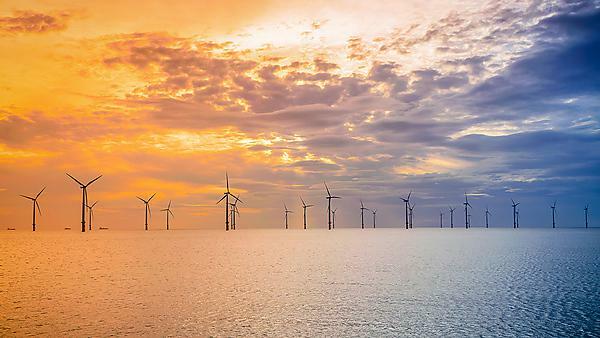 The focus of the research, therefore, will be to develop a non-linear numerical wave model to assess the dynamic behaviour of a large diameter monopile-based offshore wind turbine (OWT) in the extreme sea conditions of Jamaica. The research aims to determine if the numerical wave models that are being used to predict the wave forces acting on monopile supported OWT are appropriate for large dimeter monopiles. Additionally, are they appropriate to predict the wave characteristics within the extreme sea conditions of Jamaica? To investigate this, the numerical wave models used to determine the wave forces around vertical cylinders will be assessed and an appropriate non-linear numerical wave model will be proposed for a large diameter cylinder. A physical scaled model in a wave tank will be used to validate the model. A research of this nature will help to inform the offshore wind farm community who might have intentions to locate wind farms within the Caribbean Sea environment.